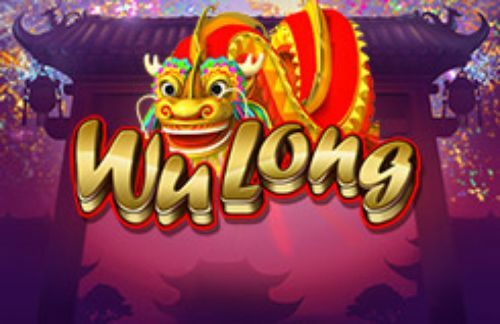 Play this Microgaming slot where Near East characters take the main role in the game! 108 Heroes is an epic battle filled with multipliers and a large top payout of 100,000. The game itself is a spin-off of the original, which is a five-reel slot. This time around, the 108 Heroes Multiplier Fortunes comes as a retro slot on three reels and few paylines. Pull the lever to set the hero symbols spinning and you may as well witness them getting backed by a hefty multiplier. 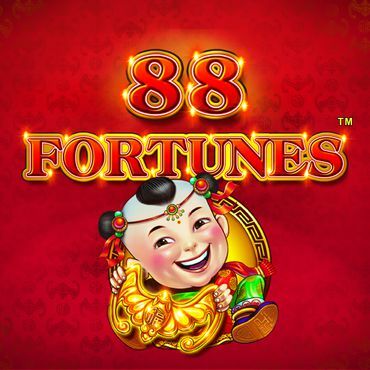 Microgaming has released a three-reel version of popular 108 Heroes video slot and named it 108 Heroes: Multiplayer Fortunes slots. Not having enough knowledge about culture of oriental countries, we suppose that this model was inspired by the famous engravings ‘108 heroes of Suikoden’ by the Japanese artist Utagawa Kuniyoshi. The engravings are based on stories from the semi-historical Chinese novel, Suikoden which tells of the adventures of a band of 108 rebels who sought refuge in the margins of Liangshan Marsh. These rebel warriors sought to protect the poor and downtrodden, very much like Robin Hood’s band. This slot comes with three reels and nine paylines. As we already mentioned, it captures the strength and elegance of Far East martial arts in an old-school slots manner. The reels are framed in traditionally ornamented bars, and set against red, flowery backdrop with 108 heroes slot logo on the right hand side from the reels. The main symbols are all heroes looking ready for a fight, standing in their martial arts poses. You can meet the gold, blue, purple and green heroes who all serve as wild symbols in the game. These wilds have multiplier values of 2x, 3x, 4x or 5x associated to them when forming part of a winning combination. Other symbols here are reminiscent of a fruit machine with single, double and triple bar symbols and lucky sevens both featuring on the reels. Before you join the heroes on this quest, you should set your bets. By clicking on "Bet" you can adjust the coins size which ranges from 0.01 to 1. Clicking on "Coins" allows you to set the number of coins per line that you wish to bet. "Spin" will set the reels in motion, and "Autoplay" option is used to turn the reels without interruption for a chosen number of times. "Max Bet" will set the maximum bet allowed. Mixed combinations can be formed of colourful sevens, different BARs and even blue sevens and BARs. As mentioned before, Wild Multipliers have different multipliers: x2 drops out at all reels, while x3, x4 and x5 show only at the central column. These symbols can form winning combinations on their own and replace sevens and BARs when necessary. Moreover, they can trigger respins. Paytable shows potential wins according to the current bet. 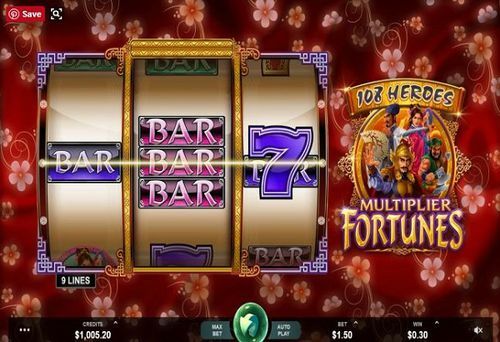 The best payout in 108 Heroes: Multiplayer Fortunes slots is 100,000 coins, which is awarded for landing the purple hero on the outside reels and the gold hero on the central reel. The next best prize is 50,000 coins which is available if you get the purple warrior on the outside reels and the blue hero on the central reel. All the other heroes also award payouts, with the sevens and bar signs offering the lowest rewards. If you get two or more multiplier symbols on reel 2, you will activate the Respin feature. The middle reel remains locked, while the other reels respin. All wins will be doubled here, which means you can benefit from multipliers up to 10x. When it comes to the oldest and best suppliers of online casino software, Microgaming is definitely among them. The successful Microgaming story starts back in 1994 when their first online casino was launched which still uses their software to present day. When it comes to in-game features, we can easily list Microgaming as one of the most innovative game makers since their features that are not found that often in slots by other game makers. 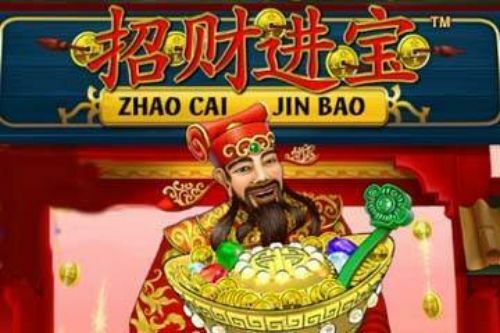 The huge database of Microgaming online video slots amounts to amazing 300 games. These online video slots are available in more than 120 online casinos with 40 of the most popular and successful poker rooms. This is the reason why Microgaming are able to offer some of the best and biggest progressive jackpots in the industry. 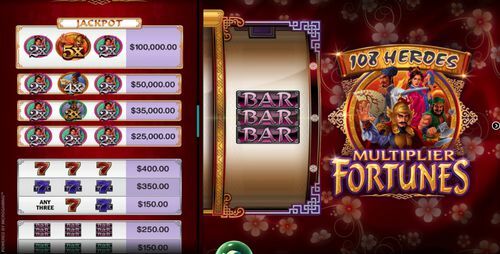 The gameplay of 108 Heroes: Multiplayer Fortunes slots is based on Wilds with multipliers. They help form winning combinations, bring payouts on their own and often trigger respins holding their positions. This model would definitely suit the tastes of many readers, even those who have never been interested in three-reel slots before. 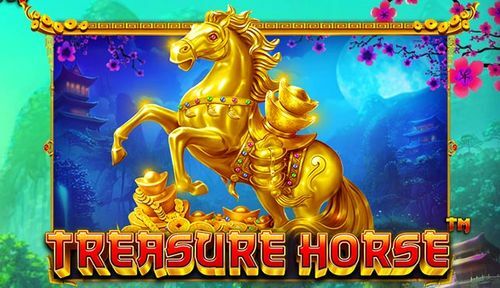 This trip to the orient may look a lot simpler than some more glamorous slots with their bonus rounds and stylish graphics, but the top jackpot of 100,000 coins is one of the best and the heroes can certainly hold their own in the slots world when it comes to payouts! 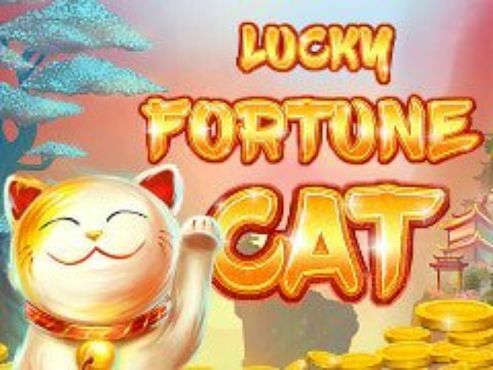 That’s about it for 108 Heroes: Multiplayer Fortunes slots – it’s a simple game, but definitely worth giving a try! Join the heroes on their quest and make sure you have fun while you’re at it!